The History Department calls on all Rustenburg Authors! The third focus of the Grade 12 History classes’ heritage research assignments for 125th Anniversary Celebrations is underway. 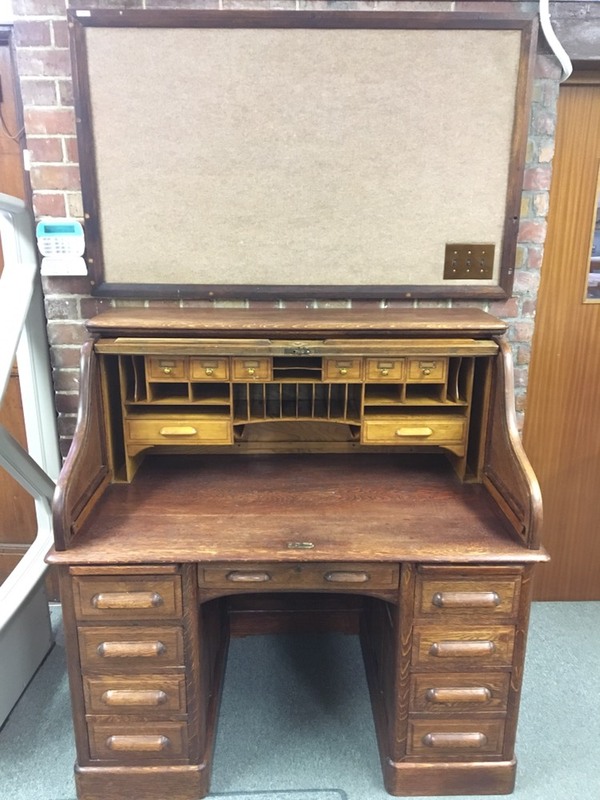 Ms Bleby’s desk (see photograph) will be a fitting backdrop for the planned exhibition of a collection of the written works by past learners and teachers. 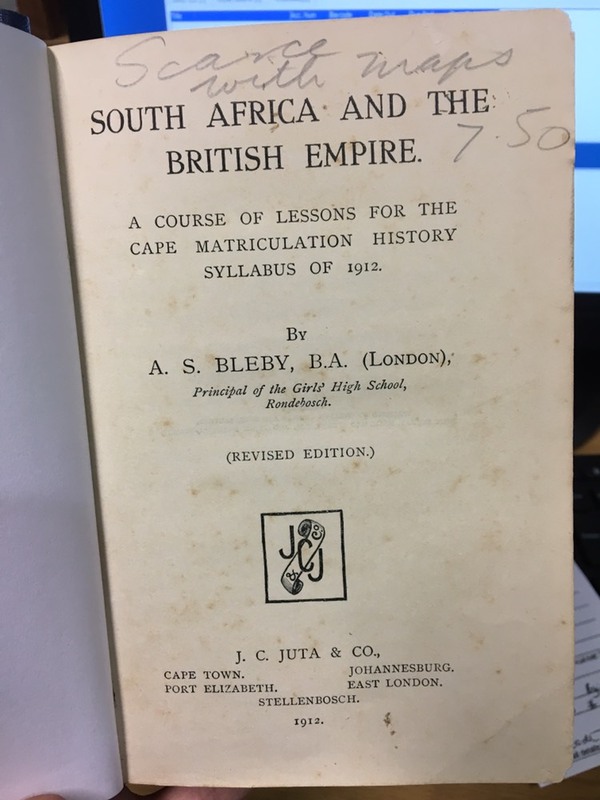 In 1912, Ms Alicia Sophia Bleby, who was the first Headmistress of Rondebosch High School for Girls (Jan1894 to September 1911) had her history book, “South Africa and the British Empire” published by Juta (see photograph of the inside cover page). As a trained historian and graduate from the University of London in the early 1870s, she set the tone for the pursuit of academic knowledge at RGHS. We would like all past Rustenburg learners and teachers to donate signed copies of their books towards an exhibition of their works. Please bring your books to the Secretaries’ office and hand them to Mrs J. Weston. You can also contact Mr C. van Dyk (vandykc@rghs.org.za) to arrange for them to be collected. We already have a small collection of the works of past “Rustybugs” and we hope to be able to extend this collection. Tanya van der Merwe (Grade 12, 2019), assisted by Ms Jordan Tame (Head of the Media Centre), will be working on this project. She will compile a list of authors and organise the exhibition of these works. She will be interviewing some of the authors and will invite them to speak about their works at the Media Centre.